While pets can bring great joy to their owners, if they are not properly managed, they can be dangerous. For victims who have been attacked by a vicious dog or pet, these attacks can cause severe injuries, disfigurement and mental pain and suffering. Top rated Berks County dog bite attorney Gary Brod, takes pride in the expertise and litigation experience of the Brod Law Firm personal injury attorneys located in Reading. Our Berks County, Pennsylvania area clients who have been injured by a vicious animal are encouraged to call The Brod Law Firm today. We understand the dog bite laws/statutes and caselaw in Berks County Pennsylvania and how to make them work for you. We have successfully handled over 209 dog bite cases. There are several factors that can contribute to the assumed negligence of a pet owner, and all of these factors will be considered by our personal injury attorneys. Pennsylvania courts often consider the following factors: First, did the animal have a history of violent behavior? If a pet owner is aware of a pet's tendency to attack, the owner has a duty to contain the animal. Also, did the pet owner do everything in his or her power to contain the animal, even if it did not have a history of attacking? Despite these considerations, however, our personal injury attorneys have helped Berks County, Pennsylvania clients to receive damages in animal attack cases even if the pet has had no prior history of aggression because Pennsylvania Law requires the owner have control of his animal by keeping him contained within the confines of his property or properly leashed. By having prior knowledge and evidence to support the owner's negligence, an animal attack case will be considerably stronger. Because they are common and serious, dog bites are not something to take lightly. In the 11-year period of 2005 through 2015, canines killed 360 Americans. Pit bulls contributed to 64% (232) of these deaths. Combined, pit bulls and rottweilers contributed to 76% of the total recorded deaths. Why Choose Berks County Dog Bite Attorney Gary Brod? If you or a loved one was a victim of an animal attack, The Brod Law Firm encourages you to contact our dog bite lawyers in Berks County today! For over 30 years The Brod Law Firm personal injury attorneys help Pennsylvania dog bite victims receive compensation for physical and mental injuries. Contact The Brod Law Firm today today to speak to top rated Berks County dog bite attorney, Gary Brod. 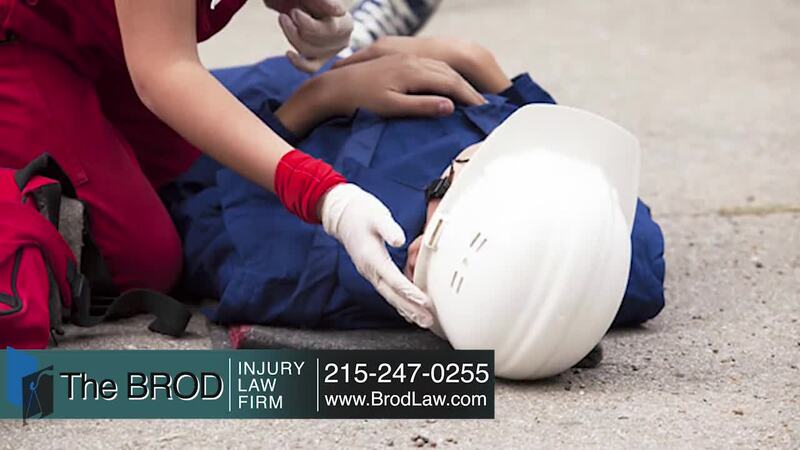 At The Brod Law Firm our personal injury attorneys work for victim's rights. Contact The Brod Law Firm today to speak to one of our experienced Berks County dog bite lawyers. Contact Gary Brod anytime at 888-435-7946 (888-HELPWIN) or online for a free no obligation consultation and explanation of your legal rights. We also have the option of an easy phone sign-up process and we can begin work today. Even if you are not sure you have a case your call is always welcome and there is no charge for legal advice.